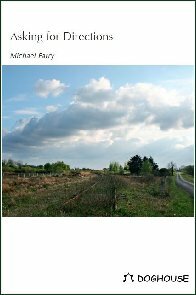 The author of this website is poet and historian, Michael Farry. A retired primary teacher, a native of Coolaney, County Sligo, he has lived in County Meath since 1970. He published Killoran and Coolaney – A Local History, a history of his native parish, in 1985. He published A Chronicle of Conflict: Sligo 1914-1921, a history of the War of Independence in County Sligo, in 1992. He researched the civil war in Co. Sligo as a doctoral thesis in Trinity College, Dublin 1995-1999. 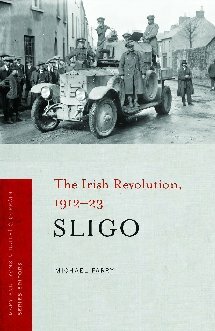 This was published by UCD Press in 2000 as The Aftermath of Revolution - Sligo 1921-23. His book Sligo: The Irish Revolution 1912-1923 was published by Four Courts Press, Dublin in 2012 as the first volumes in their Irish Revolution series (Mary Ann Lyons & Daithí Ó Corráin, series editors). Michael Farry is a founder member of Boyne Writers Group and is the editor of the group’s magazine, Boyne Berries. He has had poems published in poetry magazines in Ireland and the UK and was selected for Poetry Ireland Introductions 2011. In 2009 he was awarded third prize in the Patrick Kavanagh Poetry Competition and was shortlisted for the Bridport Poetry Competition (UK) and longlisted for the Plough Poetry Prize (UK). In 2012 he won the Síarscéal Poetry Competition, Roscommon and the Fermoy Poetry Competition. He has read his poems at events in Dundalk, Limerick, Dublin, Cork, London, Galway, Perth and Sligo. His first collection of poetry, Asking for Directions, was published in 2012 by Doghouse Books, Tralee. Every effort has been made to ensure that material on this website does not infringe copyright.